Better than new! 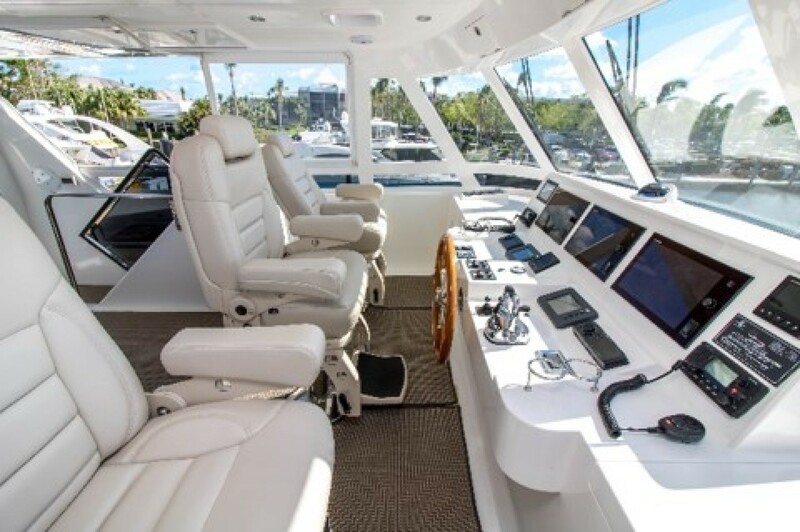 Endurance 658 that is fully equipped and ready to cruise. CAT Concierge Service on upgraded CAT C18's with 1150 hp each that yield a top speed of 23 knots. Sea Torque enclosed shafts enhance performance and sound suppression. Only 390 engine hours. Extended warranty on all systems until 2022. Three staterooms plus a separate crew quarters, 5 heads including a Day Head on the aft deck. Salon settee is a pull-out queen sleeper. 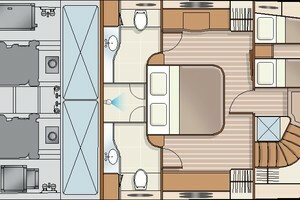 Preferred His and Hers head layout in the master stateroom, walk around king size master berth with HMC custom mattress. 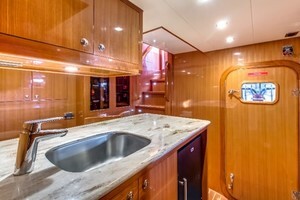 Stunning cherry interior with burl inlay, granite galley, cherry and holly floors throughout. 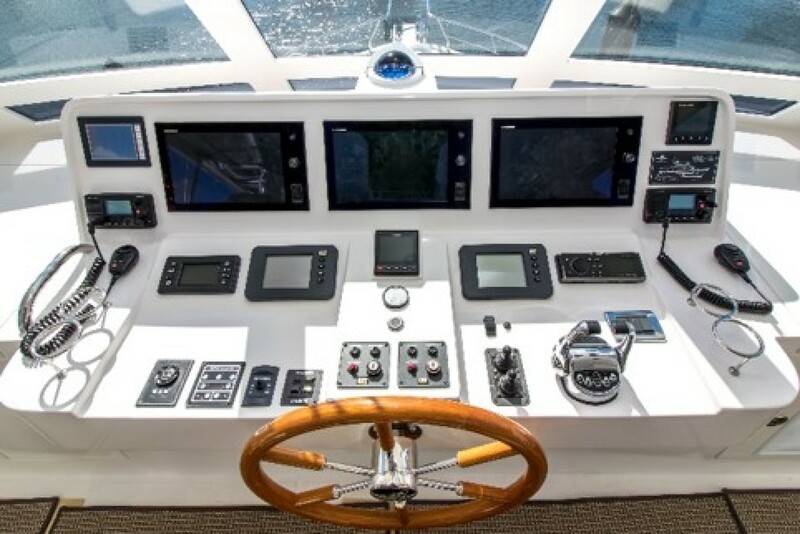 Furuno electronics package upgrade; 3 TZ Touchscreen chart plotters, depth finder/data system anchor alert, Garmin AutoPilot, 2 Garmin VHF radios. Hydraulic bow and stern thrusters. 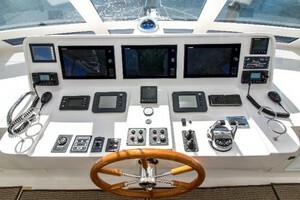 Equipped with Yacht Controller for remote operation, in addition to 2 built in aft control stations. Solid fiberglass hull with Kevlar reinforcement and optional cruising keel with protected running gear. New bottom paint and PropSpeed Sept 2017. 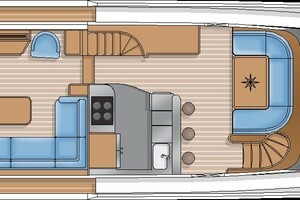 Teak aft deck and side decks. Fully enclosed fly bridge with HVAC. GOST security system. Samsung flat screen SmartTVs (8) with KVH TV6 Dome. Switlik Life Raft. 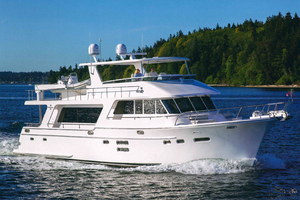 Among today's long-range cruisers that appeal to discerning sea-going couples and families, the Hampton Endurance has begun to break out of the pack as one of the leading LRCs that provide hearty seaworthiness combined with a level of luxury, fit and finish only found in yachts double their price and size. 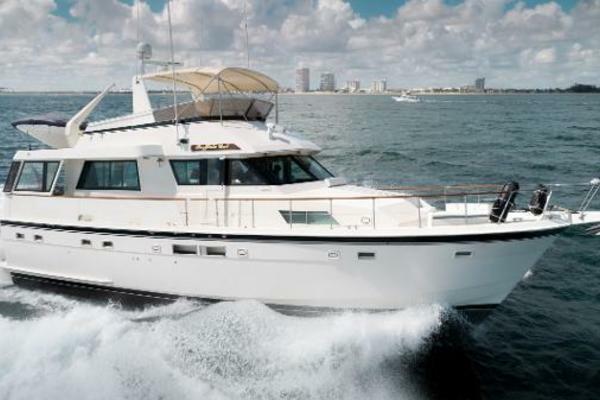 BoatTest.com says, "80 feet of yacht in a 65-foot hull with fit and finish like I've never seen." 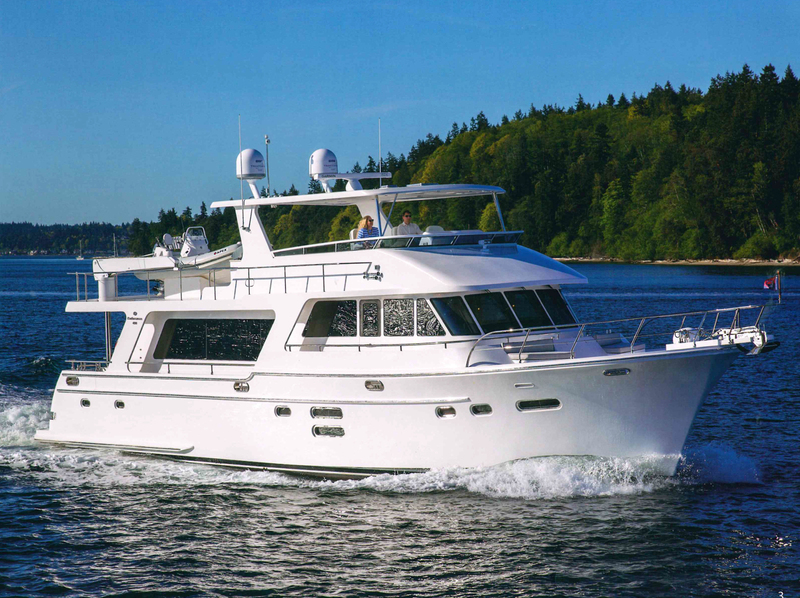 The Endurance by Hampton Yachts represents the culmination of 50 years of world class boat building experience. Hampton has combined traditional materials and craftsmanship with the latest technological advancements. 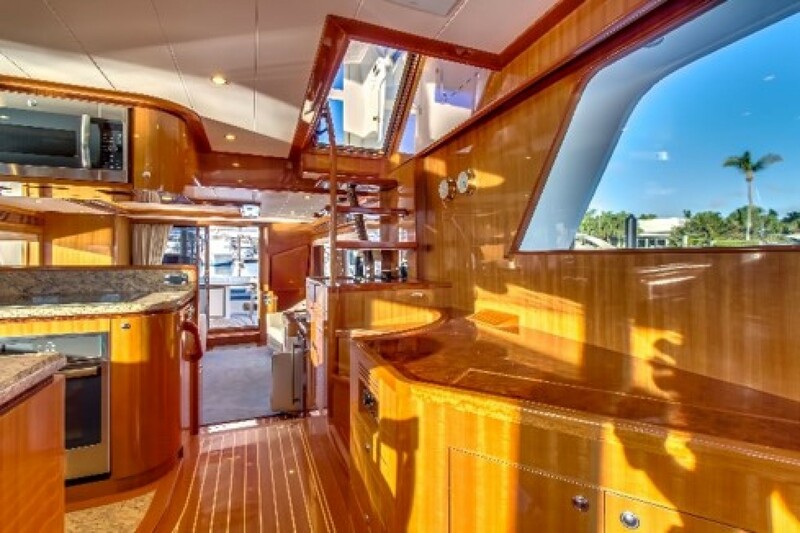 On the Endurance, you will find Hampton's signature heirloom quality woodwork, rich natural materials and imported fabrics in a vessel fully loaded with the best electronics, entertainment and ship's systems. 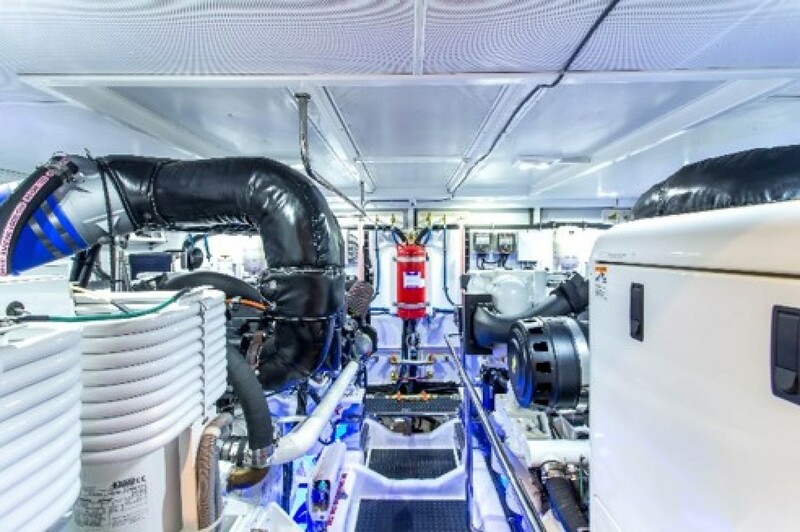 The Endurance is the perfect combination of tough, offshore capable construction combined with robust, redundant systems and luxurious living spaces. 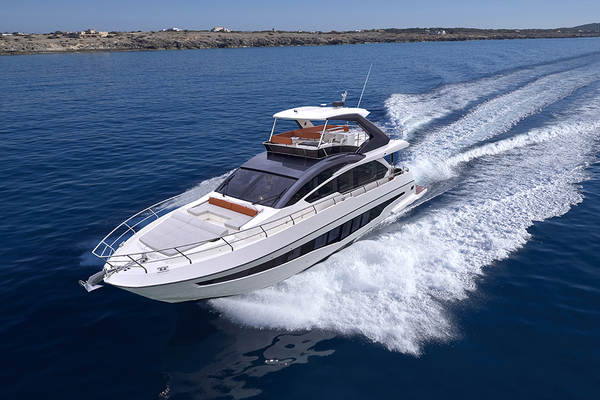 No other manufacturer builds a semi-custom yacht of this caliber. longer passages in comfort and confident peace of mind. The hull is hand laid fiberglass with woven Kevlar® reinforcement and a full-length keel for directional stability and running gear protection. platform to be completely free of cables. 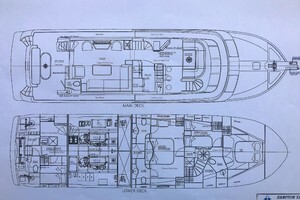 There is a large transom door aft that allows one to enter and exit the crew cabin and engine room without having to enter the primary living areas of the vessel. 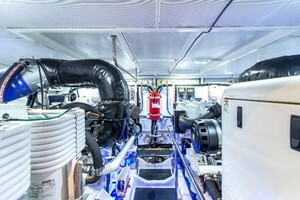 Moving into the vessel's cockpit area one is immediately surrounded by the features that set Hampton Endurance apart. It starts with a beautiful oval cherry table with a compass rose inlay capable of seating six comfortably. Port side are very accessible teak stairs to the fly bridge that even your pets can navigate. 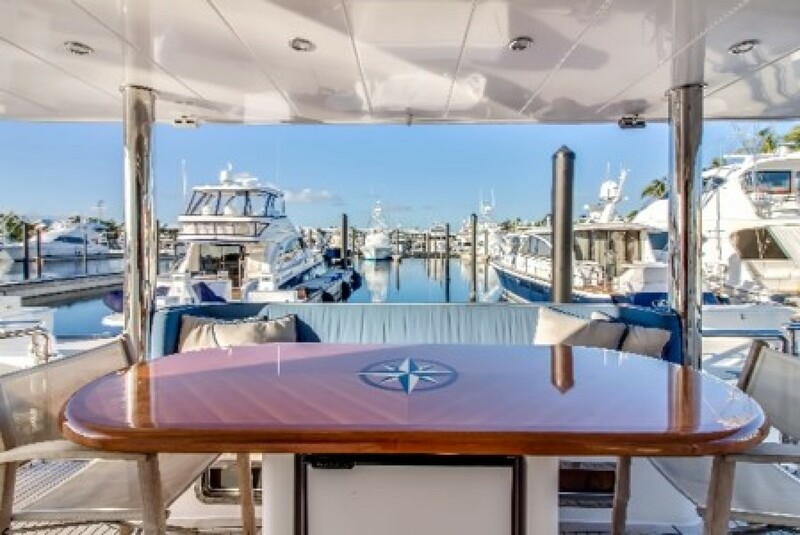 Starboard side features an indispensable day head allowing guests the convenience of not having to enter the more private parts of the vessel. Under the cherry table, one will find a refrigerator ready to serve cold beverages to owners and guests alike. To complete this cockpit oasis is a drop down 27" Samsung flat screen smart TV. Upon entering the salon through a sturdy stainless sliding glass door, the richness of the Makore cherry interior illustrates Hampton's commitment to sophisticated aesthetics and quality. 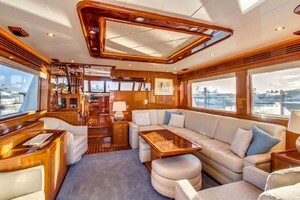 Hampton uses one tree throughout the entire boat in order to match the grain no matter the structural interruptions. A sectional leather couch with a pull-out queen occupies two thirds of the salon. 2 matching Ultra-Leather barrel chairs with ottomans complete the ensemble. All seating is equipped with valuable under cushion storage. End and coffee table are beautiful cherry and burl wood. A 46" Samsung Smart TV is centrally located in a similar cherry/burl wood cabinet with a convenient TV lift capability. 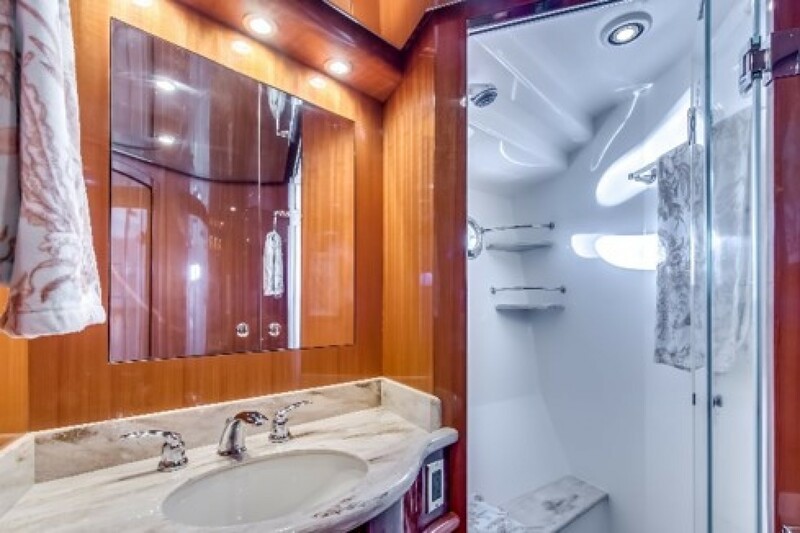 In the port aft corner there are convenient stairs that lead down to a well-equipped crew cabin, head and shower and, most importantly, safe interior access to the walk-around, stand up engine room with 6'6" of clearance. Forward of the salon is a well-equipped kitchen for the most discriminating chefs. Amongst the cherry accents are granite countertops and flooring. Refrigeration needs are met by a side by side full size GE refrigerator. Cooking is taken care of by a 4-burner induction GE cooktop, full size GE convection microwave and a full-size GE convection oven. Extra-large stainless-steel sink with garbage disposal makes cooking and prep a pleasure. 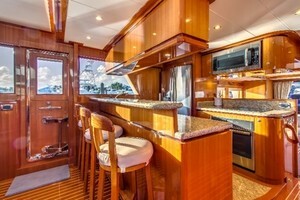 A breakfast bar with three stools completes the galley. Ahead of the galley is a perfectly positioned dinette than can easily accommodate 6 persons. When dining a 30" Samsung Smart TV is ideally positioned in a cabinet w/ lift kitty corner to the dinette. Whether alone or with guests, all diners have the luxury of a 360-degree water view. Across from the galley is a well-positioned stairway to the fly bridge and helm. Forward, the well positioned helm is a highly sophisticated array or state of the art navigational gear from 3 Furuno TZ chart plotters, Garmin Auto Pilot, 2 Garmin VHFs, Furuno Data unit, Radar, Sonar, Maxwell Anchor deployment, Wesmar digital stabilizer screen, CAT digital engine displays, Glendinning Electronic throttles, Wesmar hydraulic Bow & Stern thruster controls, Spotlight, Yacht Controller switch, Hydraulic trim tab switches and point by point hull alarm display. 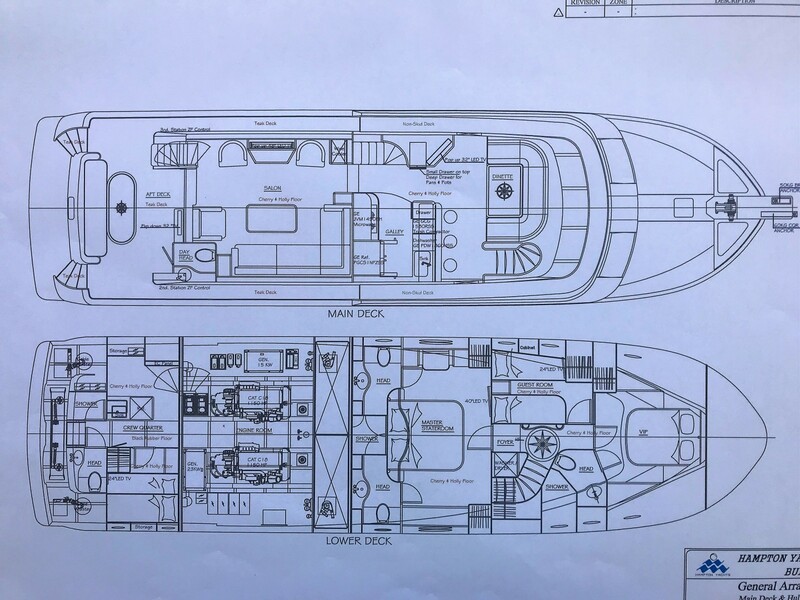 There are three air conditioning zones, as well as the ability to raise 4 large glass flaps aft allowing the bridge to be semi-open under way or at anchor/slip. Immediately outside of the fly bridge on the rear bulkhead in addition to the all-important EPIRB, one will find an ice-maker/refrigerator, wet sink and BBQ grill. Behind this is a large open area perfect for chaise lounges to take in beautiful sunsets as well as kayaks and bicycles to explore the shallows and backroads of paradise. To the stern of the fly bridge is a Steelhead 1000 crane. 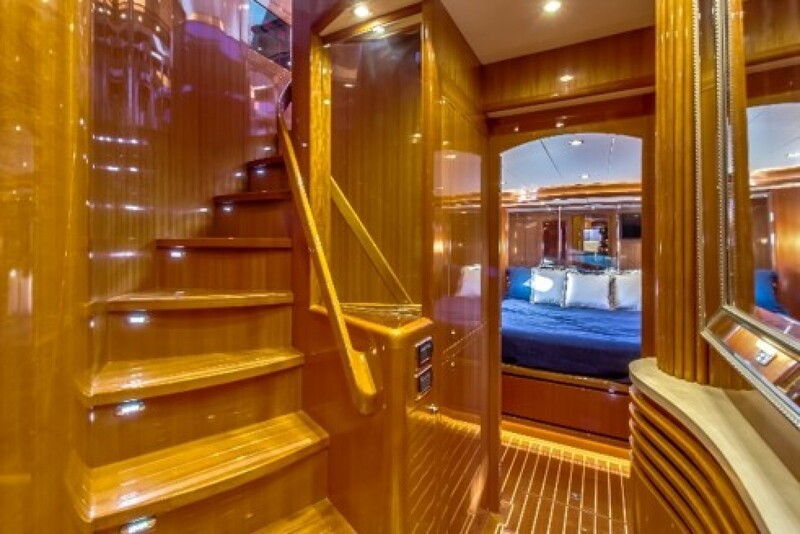 Forward of the galley, on the starboard side is a winding stairway to the sumptuously appointed lower quarters. At the bottom of the stairs is a beautifully inlaid marble compass rose. To your immediate right, behind subtly placed cherry doors are a full-size GE washer and dryer. Ahead is the guest cabin that can be converted from twins into a full-size bed. The guest cabin has its own HVAC, Fusion entertainment system, Samsung Smart flat screen and a full size hanging closet. 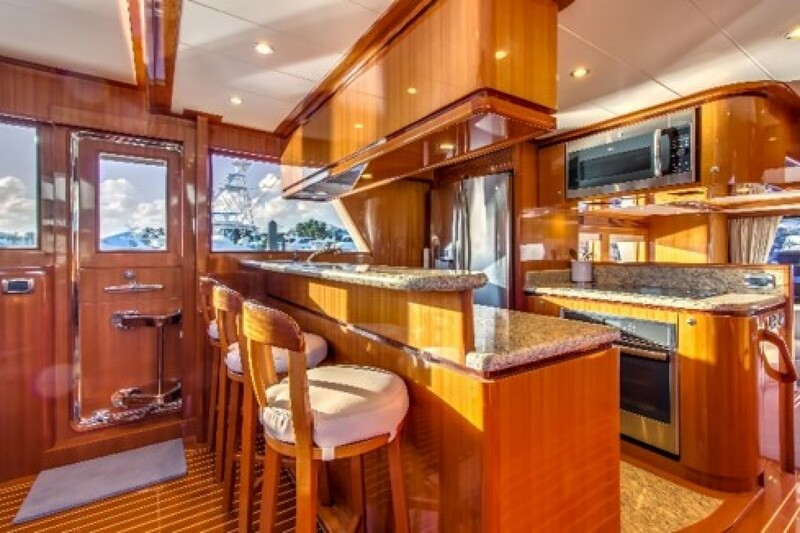 Forward is a spacious VIP cabin with an island queen, hanging closet, HVAC, Fusion entertainment system, Samsung smart flat screen and access to a full-size head with enclosed shower. There is a second door to the head for guest quarter access. 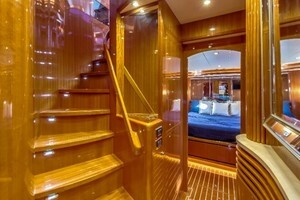 Heading aft is the master stateroom. Upon entry, there is a centerline walk around king bed with a HMC custom mattress. On each side are his and her heads with a large shared shower in between. All floors, counters and shower interior have been finished with beautifully appointed Corian. 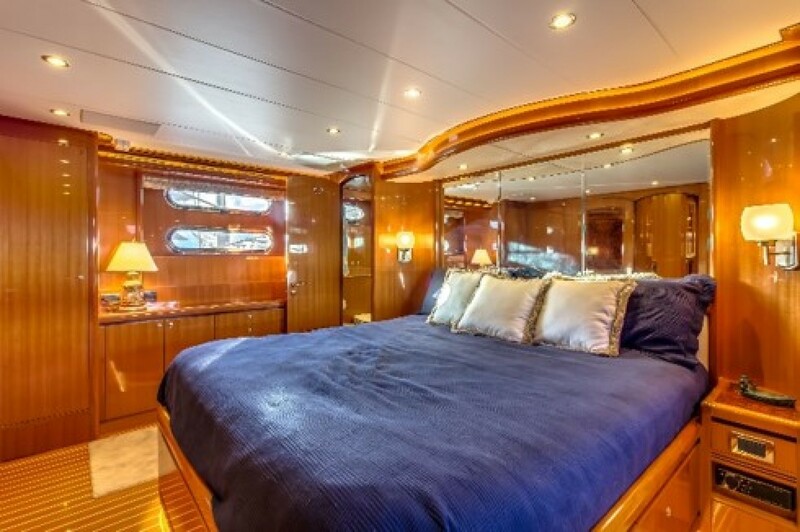 To complete this luxurious master stateroom are 3 hanging closets and an abundance of drawers. A 40" Samsung Smart flat screen TV and a Fusion entertainment system with Polk audio rounds out the perfect space for an owner. 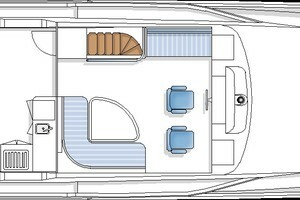 All cabins have opening ports for fresh air, or enjoy the comfort of the robust AC system. 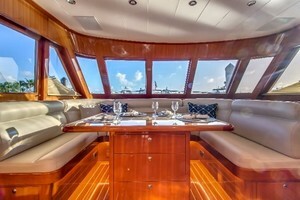 As with all redundant systems on this boat, there is a built in back up for the HVAC system. F.R.P. Fuel tanks (Fuel Grade) 1850 GL in two tanks. Fill both tanks from port or starboard. Aft access to cockpit featuring teak stairs and sliding hatch.